We believe that Americans have a right to purchase and use firearms for lawful purposes. The private ownership of firearms in America is traditional, but that ownership imposes the responsibility on the gun owner to use his firearms in a way which will ensure his own safety and Lhat of others. When firearms are used in a sale and responsible manner, they are a great source of pleasure and satisfaction, and represent a fundamental part of our personal liberty-. Firearms do not cause accidents! Firearms accidents are almost always found to have been the result of carelessness or ignorance on the part of the shooter of the basic rules of safe gun handling. The following rules must be observed by gun users at all times. Safe gun handling is not just desirable, it is absolutely essential to your safety, the safety of others, and the continuation of gun ownership and sport shooting as we know it today. 1. 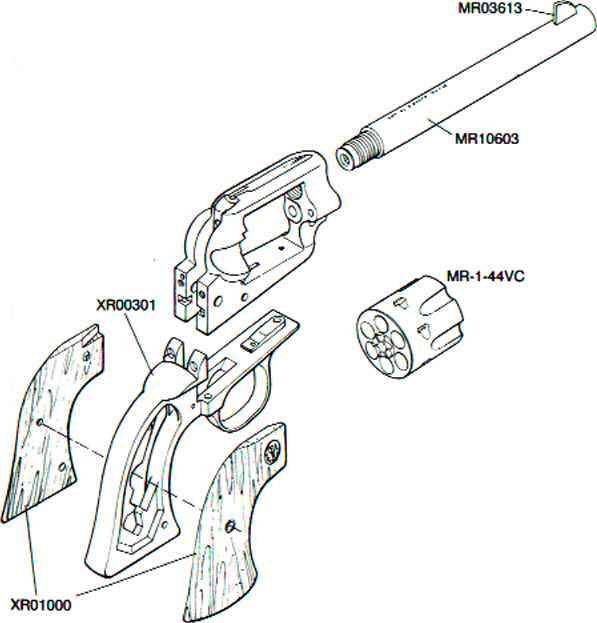 LEARN THE MECHANICAL AND HANDLING CHARACTERISTICS OF THE FIREARM YOU ARE USING. Not all firearms arc the same. The method of earning and handling firearms varies in accordance with the mechanical provisions for avoiding accidental discharge and the various proper procedures for loading and unloading. No person should handle any firearm without first having thoroughly familiarized himself with the particular type of firearm he is using, and with safe gun handling in general. 2. ALWAYS KEEP THE MUZZLE POINTED IN A SAFE DIRECTION. Be sure of the bullet stop behind your target, even when dry-firing. 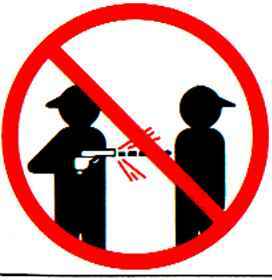 Never let the muzzle of a firearm point at any part of your body or at another person. This is particularly important when loading or unloading a firearm. 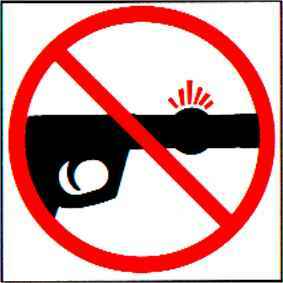 In the event of an accidental discharge, no injury can occur as long as the muzzle is pointing in a safe direction. A safe direction means a direction which will not permit a discharged bullet to strike a person, or to strike an object from which the bullet may ricochet. A safe direction must take into account the fact that a bullet may penetrate a wall, ceiling, floor, window, etc.. and strike a person or damage property. Make it a habit to know exactly where the muzzle of your gun is pointing whenever you handle it, and be sure that you are always in control of the direction in which the muzzle is pointing, even if you fall or stumble. Keep your finger off the trigger until you are ready to shoot! 3. FIREARMS SHOULD BE UNLOADED WHEN NOT IN USE. Even a bit of mud, snow or excess lubricating oil or grease in the bore may cause the barrel to bulge, or even burst on firing, and can cause serious injury to the shooter and bystanders. 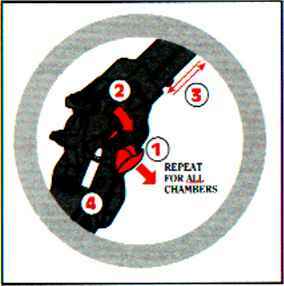 Be sure that you arc using ammunition of the proper caliber and loading for the gun you are using. If the report or recoil on firing seems weak, or doesn't seem quite right, CEASE FIRING IMMEDIATELY, unload your firearm, and check to be sure that no obstruction has become lodged in the barrel. Firearms should be loaded only when you are in the field or on the target range or shooting area, ready to shoot. Firearms and ammunition should be securely locked in racks or cabinets when not in use. Ammunition should be safely stored separate from firearms. Store your firearms out of sight of visitors and children. It is the gun owner's responsibility to be certain that children and persons unfamiliar with firearms cannot gain access to firearms, ammunition, or components. 4. BE SURE THE BARREL IS CLEAR OF OBSTRUCTIONS BEFORE SHOOTING. 6. 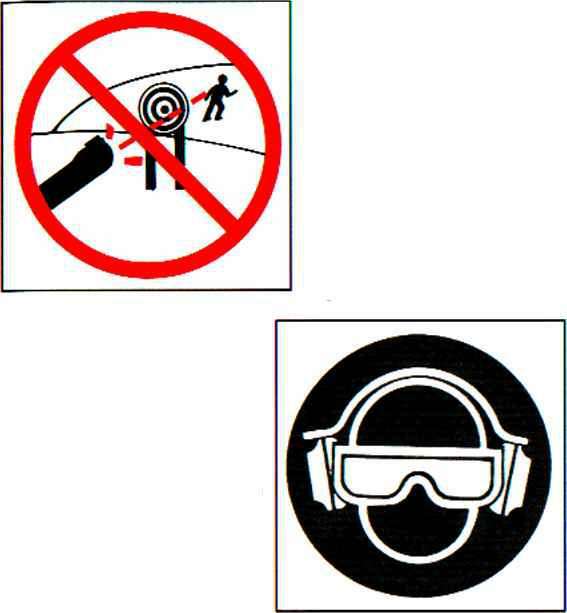 WEAR SHOOTING GLASSES AND HEARING PROTECTORS WHEN YOU SHOOT. All shooters should wear protective shooting glasses and adequate hearing protectors when shooting. Exposure to shooting noise can damage hearing, and adequate eye protection when shooting is essential. 5. BE SURE OF YOUR TARGET BEFORE YOU SHOOT. Don't shoot unless you know exactly where your bullet is going to strike. Be sure of the bullet stop behind your target, even when dry-firing with an unloaded gun. If you are in the field hunting, do not fire at a movement or noise. Take the time to be absolutely certain of your target before you pull the trigger. 7. NEVER CLIMB A TREE OR FENCE WITH A LOADED FIREARM. 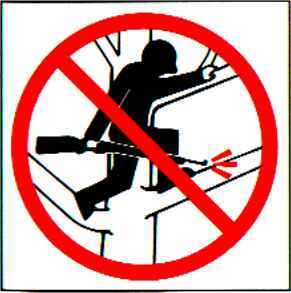 Put the firearm down carefully before climbing a fence, and unload it before climbing or descending a tree or jumping over a ditch or other obstruction. Never pull or push a loaded firearm toward yourself or ¿mother person. When in doubt, or whenever you are about to do anything awkward, unload your gun! 8. DONT SHOOT AT A HARD SURFACE, OR AT WATER. Bullets can glance off many surfaces like rocks or the surface of water and travel in unpredictable directions with considerable velocity. 9. 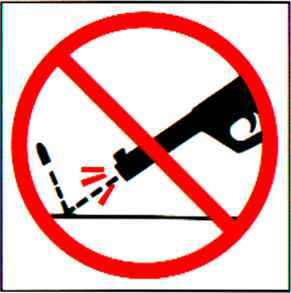 NEVER TRANSPORT A LOADED FIREARM. 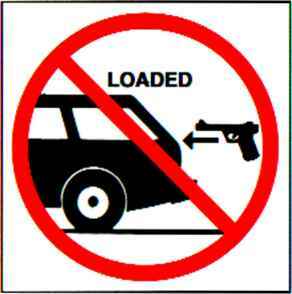 Firearms should always be unloaded before being placed in a vehicle. A suitable carrying case or scabbard should by used to carry an unloaded firearm to and from the shooting area. 10. 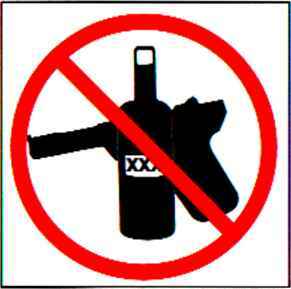 AVOID ALCOHOLIC BEVERAGES WHEN SHOOTING. Don't drink until the days shooting is over. Handling firearms while under the influence of alcohol in any form, or medications that could affect your judgment or co-ordination, constitutes a criminal disregard for the safety of others. One of the few American firearms manufacturers whose management has remained unchanged since starting in business. Sturm. Ruger & Company. Inc., had its beginning in a small machine shop occupying a rented frame building in Southport, Connecticut. In January. 1949. with an initial investment of only $50,000 and an idea. 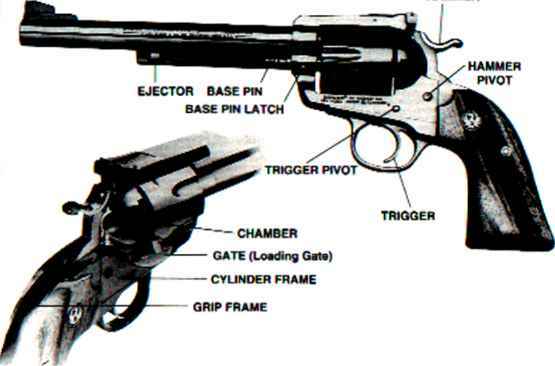 William B. Kuger and Alexander M. Sturm started production of a .22 caliber autoloading pistol-a design which was so successful that it became the cornerstone upon which one of the most comprehensive lines of sporting firearms ever made in America was established. After Alex Sturm's death in 1951, William B. Ruger continued to direct the company alone and today, as Chairman of the Board, he is actively involved in the creative engineering of new products and continues to provide the leadership which has made this 48-year-old company a sound and successful enterprise. Sturm. Kuger & Company, in this relatively short time, has established itself as a leading small arms design organization, developing a unique and broad line of fine quality sporting, militan' and police firearms to become one of the world's most famous producers of revolvers, pistols, rifles and shotguns. 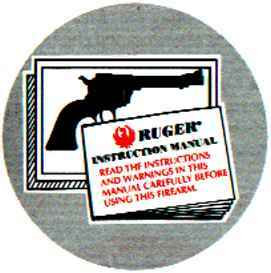 From 1949 thru 1997 Ruger craftsmen have built many millions of firearms. During its four decades of growth and progress under the leadership of William B. Ruger, the company has developed a business philosophy and implemented policies which represent a constructive influence in the life of modern America. From the beginning. Sturm. Ruger & Company played a positive role in conservation efforts and has supported the interests of the National Rifle Association, National Shooting Sports Foundation, and many regional sportsmen's organizations. The company has always endeavored to market its firearms for constructive and recreational purposes, to emphasize the traditional aspects of shooting, to render meaningful public services and to encourage shooters in constructive and responsible participation in the shooting sports. Today. Sturm. Ruger & Company is particularly mindful of those elements which have contributed to the creation of its success, and extends heartfelt thanks to its many loyal employees and customers. The Magnuson-Moss Act (Public Law 93-637) does not require any seller or manufacturer of a consumer product to give a written warranty. 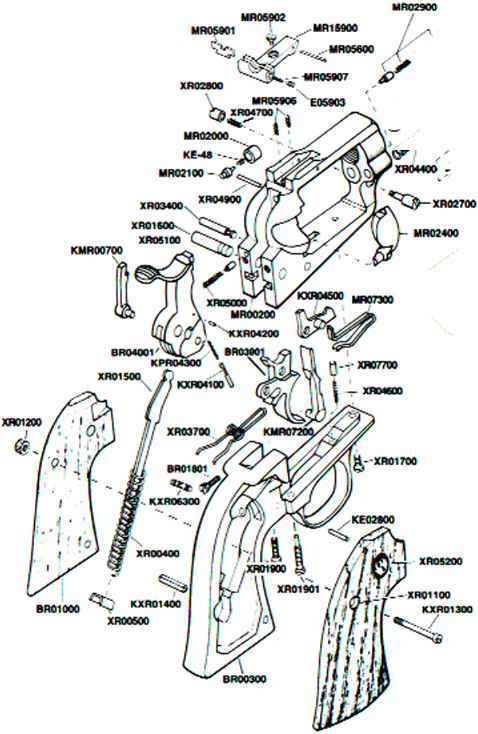 It does provide that if a written warranty is given, it must be designated as "limited" or as "full" and sets minimum standards for a "full" warranty. Sturm, Ruger & Company, Inc. has elected not to provide any written warranty, either "limited" or "full", rather than to attempt to comply with the provisions of the Magnuson-Moss Act and the regulations issued thereunder. There are certain implied warranties under state law with respect to sales of consumer goods. As the extent and interpretation of these implied warranties varies from state to state, you should refer to your state statutes. Sturm, Ruger & Company wishes to assure its customers of its continued interest in providing service to owners of Ruger firearms.